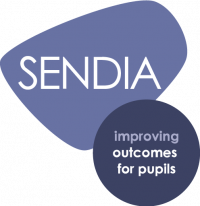 If we are to help pupils with SEND meet their outcomes, how can we determine what's 'important' for them? Research into the use of photographs as data could have the answer. Last summer I was fortunate enough to lead a workshop on outcomes and EHCPs at the SENCO Update conference. A short paper produced by one of my colleagues helped me to develop my thinking, a version of which was published last week. The discussions led us to consider that outcomes are about combining realistic aspirations with the concrete needs of the child to ensure a positive benefit or difference is made to the individual as a result of a change. I’ve since tried to become more practically-minded and focused on outcomes, using previous research and ideas to help improve the engagement of young people. During my work I’ve encountered a significant body of research ‘done to’ young people, but it has become clear that if we are to support their outcomes, we should seek the perspectives of these young people themselves (Sciutto, et al. 2012). Thinking back to some work I did almost 10 years ago (stemming from Paul Willis’ ‘Learning to Labour’) and my passion for working with young people as co-researchers, I had an idea! Could we use visual ethnography to support our young people in providing ‘first-hand’ information for reviews and discussions? And so our thinking developed. ‘‘Images are ‘'everywhere'’. They permeate our academic work, everyday lives, conversations and dreams.’ (Pink, 2001, p.17). Pink (2003) identifies visual anthropology and sociology as established academic sub-disciplines, represented by professional organisations and taught in universities. Other disciplines, including cultural studies, queer studies, cultural geography and consumer research, have increasingly used visual methods to develop approaches that are both discipline-specific and linked to earlier examples of visual anthropology. Visual research has both academic and applied uses. It is becoming more closely integrated with mainstream anthropological work, while also being taken up in commercial contexts. Multinationals and research agencies who advertise on the internet now offer photography and video within their portfolios of ethnographic methods. 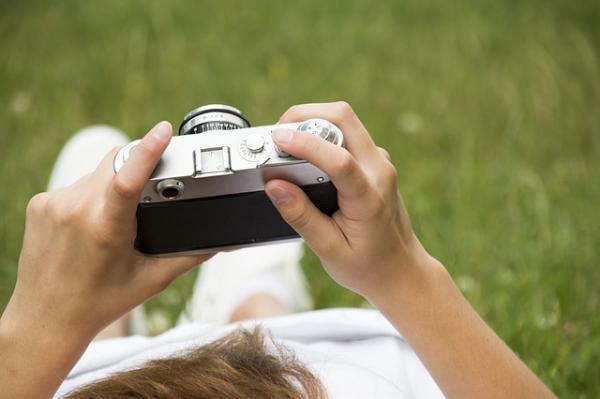 the use of photographs as a means of presenting social research. The use of still photography as a research method had historically been addressed by a number of scholars (Bateson & Mead, 1942; Becker, 1974; Byers, 1964; Caldarola, 1985; Collier, 1967; and Wagner, 1979); by some, over half a century ago. If we are to use photographs as data/data generators in social research (or as part of our school processes), we must first understand how they are used by both the takers (pupils) and the viewers (ourselves). This is the central methodological point, but for the purpose of informing reviews we simply acquired consent from the young people and their families. We also ensured that school staff and parents were aware of our plans. In short, we gave some of our young people digital cameras and asked them to take photos of anything in school they felt was of interest or importance to them, over a period of a few weeks. It was vital that we established some ‘ground rules’ prior to letting the pupils roam free. We explained that no other young people could be photographed, and if they wanted to take pictures of staff they would need to ask first. The pupils were very good at this, and we developed these ‘rules of engagement’ with them prior to undertaking any of the work. We also asked parents and carers if they were happy for pupils to undertake this project, and everyone was keen to take part! It is worth noting that this was for review meetings and supporting discussions regarding provision and outcomes. We had no intention of providing peer-reviewed papers at this stage! ‘‘…a historical two-headed view of photography as 1) an art and 2) a precise machine-made record of a scene or a subject. In the first view, the primary concern is the vision of the photographer-artist who uses the technology to produce a creative photograph of which the photographer is the source." In the second view, the primary concern is the accuracy with which the subject is recorded on film, in which case the subject is the source.’ (1964, p. 79). ‘…the photograph is not a “message" in the usual sense. Instead, it is the raw material for an infinite number of messages which each viewer can construct for himself.’ (1964, p. 31). It is clear that photographs have been used as a methodological tool for a number of decades. More recently, a considerable body of work by Sarah Pink continues to highlight the specific nature of visual ethnography as a tool for encouraging self-reflection on readers’ interpretations. Our work allowed the individual young people to explore their reasons with a description of why the photograph was important to them, in the context of their school experience. deal with the pressure of school accountability measures and internal systems. This is never easy, especially at the moment, so we thought ‘let’s see what young people think is important through the pictures they take’ and, perhaps most importantly, their reasons for taking them. At the very least, this gives us a mechanism for supporting communication during the process of deciding outcomes and identifying successes to date. ‘Now, that’s in the back field. 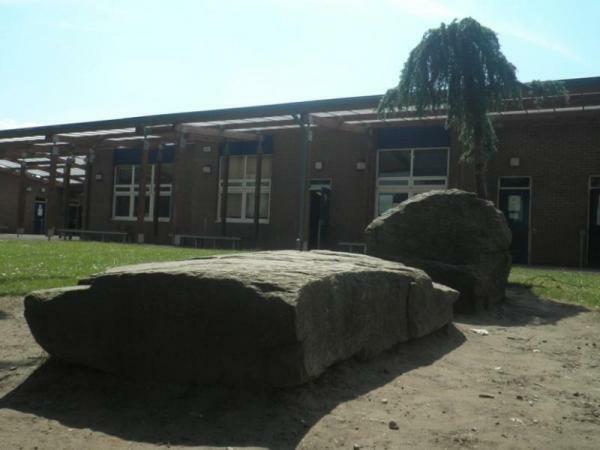 It’s another naturey bit and I like the back field, because it’s got all these stones you can sit on and it’s, basically, another naturey bit only this is a bigger naturey bit. And, and I just thought I’d take a picture somewhere in the back field, because I like the back field even though I don’t really go in it that often. Sometimes I walk through there on the way to form in the morning, or I might walk through the Pond Quad. So when I do go there I just usually sit there, on that stone. Lewis (name changed) was keen to show and describe this picture, which prompted a lot of discussion. While we have many photos and recorded discussions that have subsequently informed reviews, for this post I want to ask readers to consider how they gain insights into young people’s thinking about school, and what is important to them, from this one particular example. For Lewis this picture demonstrated a place he felt comfortable, despite the fact that the back field is often busy. Knowing it was there has helped him at times in school. Often we have a tendency to impose certain ‘appropriate’ areas or clubs for young people at social times. However, using this method of finding out what young people feel is important to them it allowed for a more nuanced understanding of what outcomes we should be working towards. In Lewis’ case, knowing where he felt secure was important for him. I will be exploring and developing our ideas in a future post, talking practically about how this has provided a new avenue of information, so watch this space! However, as a ‘rough and ready’ means of gathering first-hand information for reviews, we have dramatically changed the way some young people can engage in discussions, decision making and, perhaps most importantly, telling us what is important for them. There will be further SENcology posts in the coming weeks that explore how we might refine this approach a little more. Bateson, G & Mead, M. (1942) Balinese Character: A Photographic Analysis. New York Academy of Sciences. Becker, H. S. (1974) Photography and Sociology. Studies in the Anthropology of Visual Communication 1, 3-26. Byers, P. (1964) Still Photography in the Systematic Recording and Analysis of Behavioral Data. Human Organization 23, 78-84.